Fintech start-up Finaeo believes it’s perfectly positioned in the life insurance “vortex” as it sets about modernising an industry that has traditionally lagged. The firm has secured $5.35 million in its latest investment round and aims to build an Amazon-style marketplace that can scale globally. Just three years old, the Toronto company already has partnerships and contracts with every carrier in Canada. 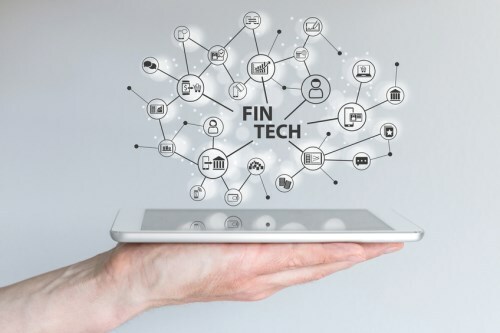 Its latest injection of funding was led by fintech-focused investor Luge Capital, supported by RGAX, the transformation unit of global reinsurer RGA, San Francisco-based Rising Tide Ventures, inovia capital and a strong angel syndicate, led by AngelList Partner, Alex Norman. The investment had follow-on participation from all previous major investors, including Impression Ventures and iGan Partners. Aly Dhalla, Finaeo CEO and co-founder, told LHP that the it has already started branching into the US, with the fresh capital also enabling it to market its own brand to financial planners and insurance professionals. The money will also go towards product development and engineering, and customer acquisition. Dhalla said when Finaeo first entered the space, insurance companies would look at them like they were “insane” but that many are now keen to move on from fragmented “pen-and-paper” systems. He said: “Now, we have insurers calling us and booking us for meetings, wanting to run knowledge pairings and lunch and learns because they are slowly starting to realise that the problems aren’t going to get solved by them alone. “Realistically, as a carrier, you might be able to solve some problems for yourself but you are disconnected from the distribution of advisors. So, if you have a company like ours that’s fighting that battle downstream and looking to connect it directly to the insurer, they are finally starting to come around as to why that is important. He said the industry is now preparing for the next wave of projects and Finaeo is ready with what it believes is revolutionary technology for the space. Karim Gillani, general partner at Luge Capital, praised the firm’s founders for their tech and industry knowledge, particularly when it comes to the regulatory environment. A significant investor in its fund is Sun Life Financial, one of the largest insurance companies in the world. “We look for a team that is solving a massive problem,” he said. “This issue spans the entire world, not just isolated to Canada or North America. The whole industry around the world suffers from highly manual processes, lots of pen and paper, and we believe that Finaeo is building this underlying infrastructure to modernize this industry at large. “The time is perfect. The industry is ripe for this level of disruption. We live in a world where consumers expect things to be more digital and more automated, and the experience of buying life insurance should be no different. Hence why we are so attracted to this vision of becoming the Amazon-like market place of the insurance space.